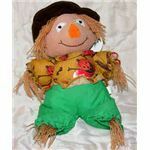 Looking for a preschool scarecrow craft for your autumn theme? Try one out that’s not only fun for your preschoolers, but also has lots of uses they can choose from! First, attach two pipe cleaners together by tying a rubber band on one end and another in the middle of the entire length. This will be the body of the scarecrow. The lower part of the joined pipe cleaners can be bent from the center rubber band down so as to represent legs. Then attach one more horizontally in the upper part to serve as the arms. *You may prepare this first step for the kids before letting them do the craft. Next, paint the Styrofoam ball with a light color that can represent the face, such as peach, tan, or light yellow. You may also opt to go for a brighter version to make your scarecrow head livelier. Remember... when it comes to art, just be creative! You don’t have to always follow the norm or represent realistically. When the paint dries, stick the pipe cleaners (the length of the scarecrow body) into the Styrofoam ball (the scarecrow head). Now that the orientation of the face is clear, you can glue the googly eyes, the bead or button for the nose, and the black mouth cutout. Afterwards, adhere some yarn on the head to represent the hair. You may choose any color that goes with the color of the face. It is also up to you to decide the length of the hair. Glue the tiny straw hat on top of the yarn. Let the glue dry. Now stick the tiny pieces of straw on both ends of the horizontal pipe cleaner. Also stick some at the bottom part of the ones serving as the feet. Then cut out rectangular shapes of the scrap cloth to wrap around the body with rubber bands. Make sure to cover the body, the arms (with the pieces of straw dangling), and the legs (with the pieces of straw peeking out from under the cloth). You can also put foam padding inside so the scarecrow can look healthier! Finally, your scarecrow doll is complete. You can move the arms and legs too! 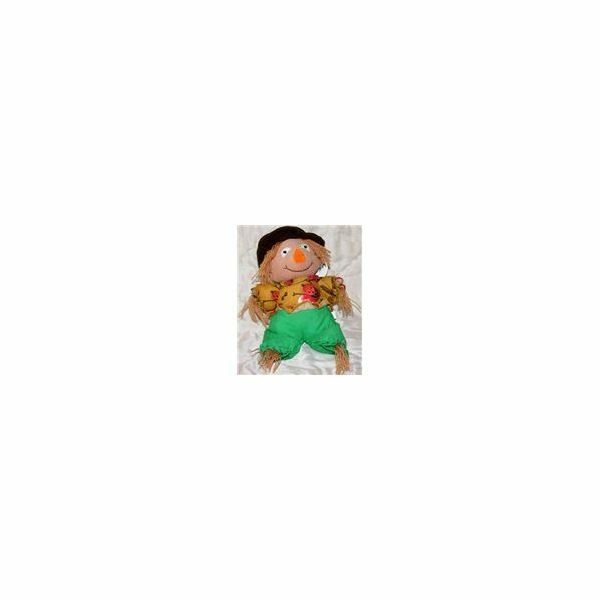 This preschool scarecrow craft is perfect as a toy because of the moving arms and legs that the kids can position the way they want. You may also want to stick it in a sitting position on top of a small upside-down clay pot (you can have the kids paint this too and decorate it with beads, gems, laces, and/or sequins). It can then be a paperweight! In addition, you may want to affix the head to a metal hook to turn it into a key chain or a bag tag. There are many ways to use this scarecrow craft, so start letting your imagination roll! Have fun!